We appreciate your choice in storing with Storage Xxtra and would love for you to introduce us to your friends, family, and co-workers. 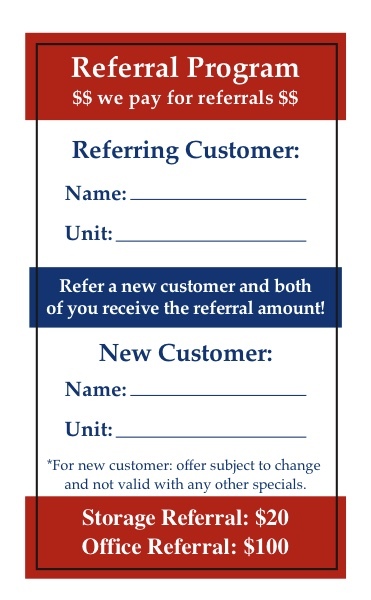 Refer someone you know and both of you will receive $20 off your next month’s rent if they rent a storage or parking space, or $100 off if they rent an office suite! Contact our office today to learn more or to initiate a referral.